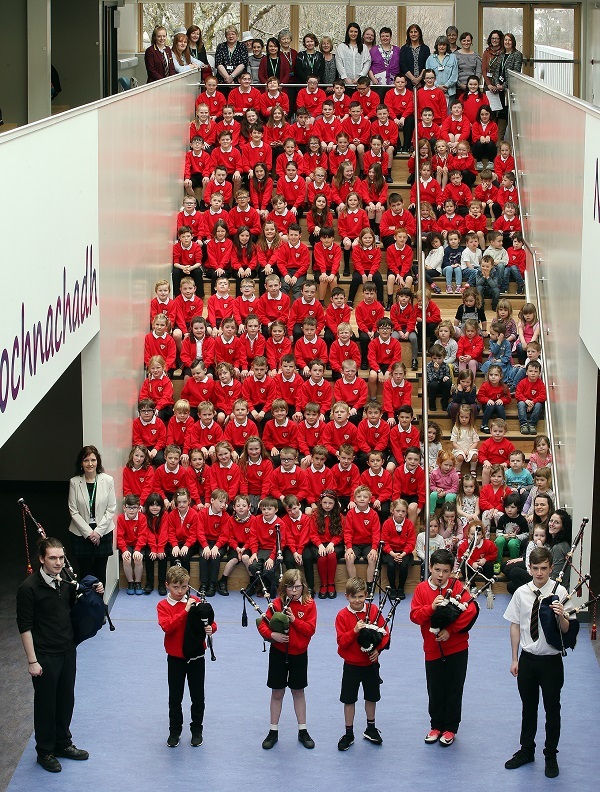 KEITH MACKENZIE was in Portree on Monday as Bun-sgoil Ghàidhlig Phort Rìgh opened its doors to pupils for the first time. ‘Is e obair latha tòiseachadh, ach is e obair beatha crìochnachadh’ (‘It’s a day’s work to begin, but a lifetime’s work to end’) is the message writ large above the entrance foyer to greet all who come through the doors of Portree’s new all-Gaelic school. It’s a proverb to affirm in pupils the importance of education throughout life, but it also neatly sums up the journey towards opening this terrific new facility. It will be ten years next month since parents first met in Portree to discuss the potential for creating a dedicated all-Gaelic school in the Skye capital. Twenty-three years before that, in 1985, a small band of Portree pupils had begun to study in a Gaelic medium unit established alongside the town’s existing primary – an early experiment and one of only three Gaelic-medium units in Scotland at the time. 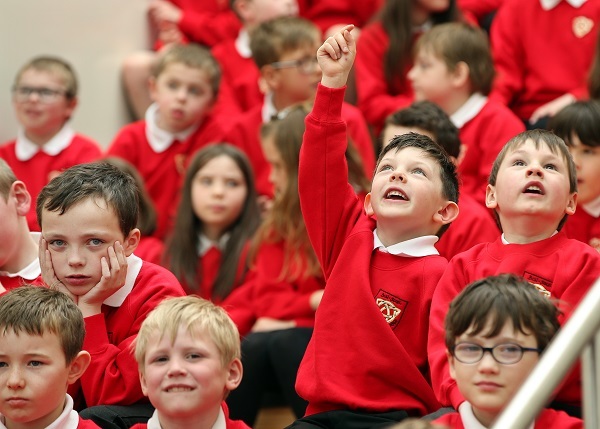 On Monday of this week 123 children, and a further 46 in the pre-school Sgoil araich, started at Bun-sgoil Ghàidhlig Phort Rìgh – the Highland’s third dedicated Gaelic school, and the sixth in the country. 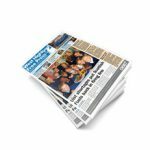 In the decade since parents agreed to lobby for a dedicated Gaelic school – when 98 of Portree Primary’s 238 pupils attended the Gaelic unit – there have been delays over planning and finance as well as controversy around costs and the impact the school might have on other nearby primaries. But on Monday, as the first pupils came through the doors, all eyes were focused on the future. Head teacher Flora Guidi was “proud and emotional” as she addressed the first assembly. Mrs Guidi began her teaching career in Portree in 1988, when just nine pupils were enrolled for Gaelic education, and the primary school still shared facilities with the local secondary. She hopes Bun-sgoil Ghàidhlig Phort Rìgh will become a “hub” for Gaelic language and culture in Skye. “It’s day one and we move forward from now,” she added. “We’ll work together as a school community, with parents and with other schools on Skye. “All endings and beginnings are difficult, and I can understand people’s scepticism. People are afraid of change. But because the school came about in response to parental requests, and it is something parents believe in, we go with that as teachers and support the parents. As teachers we haven’t got involved in any politics, and we still don’t. We’ll do our best for the school and the community of Portree. THE FINAL BUDGET for the Gaelic school is nearly £11 million – part of an overall capital investment of close to £15 million, which also included the refurbishment of the former Elgin Hostel building to create a new pupil residence at Portree High. Most of the cost has been met by Highland Council, supplemented by close to £5 million in additional funds from the Scottish Government. This week Skye councillor John Finlayson – who last year retired as head teacher at Portree Primary after 17 years – reiterated long-standing concerns, saying he believed it unfair to build a new school for some, when Gaelic and English pupils had worked alongside each other for years. Around 160 pupils will continue to be educated in English at Portree Primary. 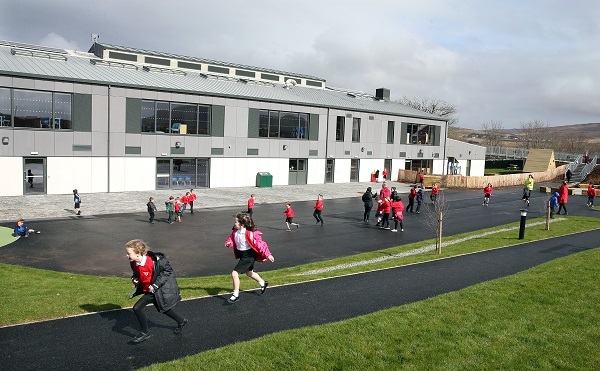 Completion of the new scheme also comes just weeks after Highland Council said it did not have the money to fund new primary schools to replace dilapidated buildings in nearby Broadford and Dunvegan. Nevertheless, one of those leading the campaign for a new school in Broadford said she harboured no ill-feeling towards the development in Portree. 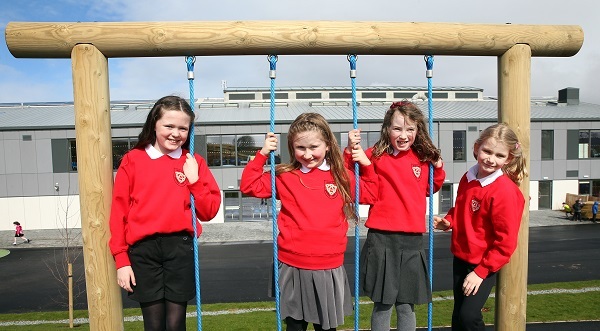 Norma Morrison, the chair of Broadford Primary school parent council, added: “Delighted to see some of the children of Portree enjoying a fabulous new school. We wish them all the very best and I’m sure they will love their fantastic new learning environment. Councillor Andrew Baxter, who chairs Highland Council’s care, learning and housing committee, described the opening of the new school as a “a historic day for the development of the Gaelic language in the Highlands”, and congratulated the work of Comann nam Pàrant Port Rìgh, the local parents group, for their long campaign. The final words on the new school, though, ought to go to those who’ll be learning in it. “It’s big, it’s clean and I’ll enjoy the break times,” was the view of 12-year-old Donald Joseph MacNeil, for whom Gaelic education offers the chance for schooling in a language he uses at home with his parents. 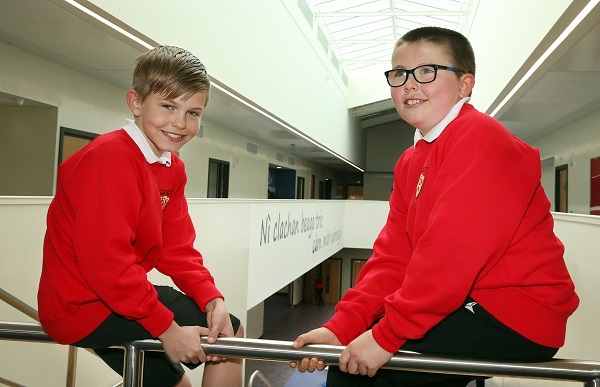 His fellow primary seven pupil Ross MacLeod added: “I like the classrooms, and the extra space we have. Ross was speaking underneath a second maxim on the foyer wall. It reads: ‘Nì clachan beaga tric càrn mòr uaireigin’. Little pebbles will one day together make a great cairn. 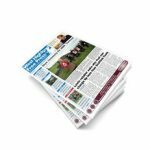 For more coverage and reaction to the opening of the new Gaelic school, buy this week’s edition of the West Highland Free Press.